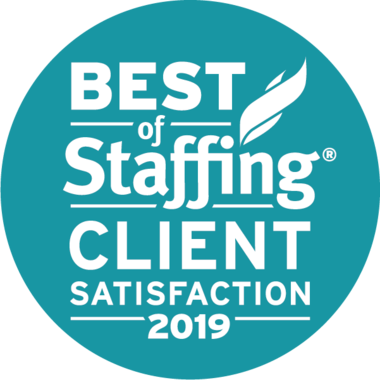 Integrity Staffing Solutions – You Messed Up, Now What? Home>Blog>You Messed Up, Now What? 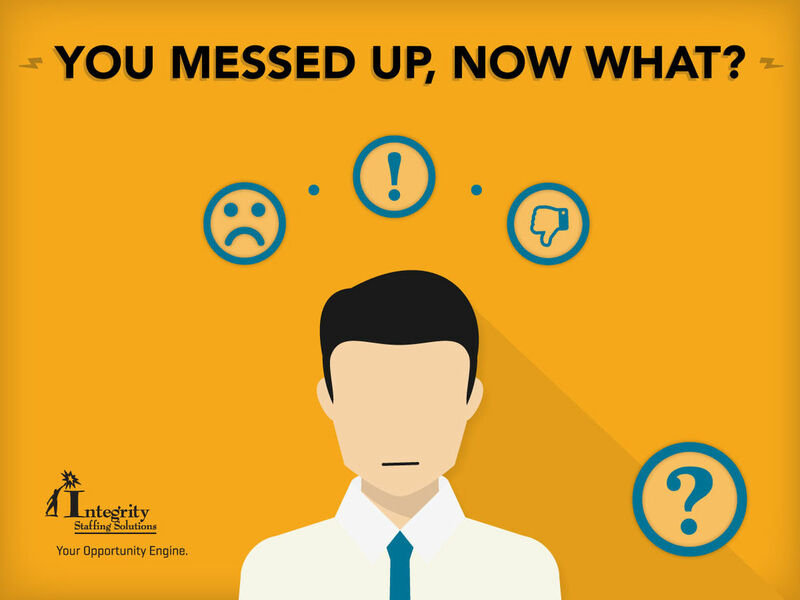 You Messed Up, Now What? Unless you're a superhuman, sooner or later you will make a mistake at work. Here are 3 strategies for damage control that won't make you look even worse to co-workers and supervisors. They may even make you look better! 1. You did it, now admit it. The absolute worst thing you can do is to try and cover up, blame someone else or pretend like it's not a big deal. This will only, at best, make you look like you don't care about doing a good job, and at worst, make you enemies. On the other hand, you'll get serious respect if you step up and say, "It was my fault." 2. But don't spill your guts everywhere. The entire workforce doesn't need to know that you screwed up. It's better to quietly inform your immediate supervisor and any directly affected co-workers who might need to help you fix the mistake. 3. Have a plan to fix it. This should actually be step 1. After you fess up, your next sentence should be how you're going to correct your mistake. So have an action plan worked out before you knock on your supervisor's door. Example: "I accidentally double booked the work crew. I suggest that we call Customer B, tell him we won't be able to be there at the agreed time, and offer him a small discount to reschedule." These 3 techniques should help you minimize the damage — to your reputation, if nothing else. But you should also be prepared to take the consequences if the mistake was an expensive one for your employer. It may take some ongoing work on your part to rebuild your colleagues' trust. But don't give up. In the end, your proper handling of the situation will be remembered in your favor, and your career will go onwards and upwards as planned.